The Livestock Branch was a spin off from the larger Animal Health Branch that was primarily responsible for the health of farm animals, and had hitherto undertaken advisory work in relation to animal husbandry that was not necessarily related to animal health. Established in the late1950's under Dr Cyril T McKenna and followed by Dr HV Chamberlain, both of whom moved from the Animal Health Branch. This new Livestock Branch initially comprised of a few officers principally dealing with the husbandry of: sheep, beef cattle, pigs and poultry. Dairy cattle and dairy factory matters were dealt with by the separate Dairy Branch. W.J Wilkie was the initial Pig Husbandry Adviser following a period as Senior Livestock Officer. He was subsequently supported by a pig research officer, Joe Bryson, who carried on in that position for many years. Paul Heap, who was formerly a Stock Inspector, was later to be the most successful manager of the Pig Research Unit at Northfield. Allan McArdle was the initial Poultry Husbandry Adviser. 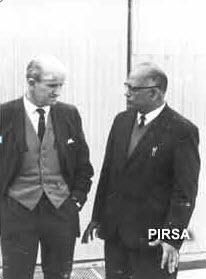 He published the renowned text "Poultry Husbandry in Australia" and undertook a major overseas consultancy in India. Allan is credited with making a major contribution to the production of poultry in that country and thereby improving the basic nutrition of many Indian people. 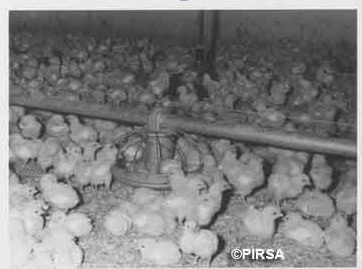 Allan was succeeded by Dr Hugh Bray and then Ray Fuge as Senior Poultry Husbandry Advisers, who made a significant contribution to the production from farm poultry flocks and with Rod Woolford and Errol Polden who oversaw the transition of the poultry industry from small farm flocks to large, intensively housed and caged flocks in large air-conditioned sheds. The inaugural Beef Cattle Husbandry Adviser was Ron Mc Neil who joined the Animal Husbandry Branch following several years experience as an Animal Health Officer. Ron served beef cattle producers throughout the State and was instrumental in establishing the SA Beef Cattle Carcase Competition that did much to encourage producers to select and breed animals that best met the carcase requirements of the meat trade. Establishing Struan Research Centre as a separate entity led to extensive beef cattle research and Ron's extension role was supported by Bob Carraill in the 1960's and Michael Milne who was based at Naracoorte. The largest section of Livestock Branch was the Sheep Section under the initial leadership of Denis Muirhead, until he left to join the CSIRO Regional Pastoral Laboratory at Armidale. He was then seconded to the Australian Meat Board, firstly as their North American representative and then as their European representative based in London. Brian Jefferies joined the Livestock section in 1953 but left to join the Tasmanian Department of Agriculture in 1959 as their Senior Sheep and Wool Officer before later returning to SA. John Doolette was also a livestock adviser in the late 1950s until he resigned and was replaced by John C Potter who was recruited from Roseworthy Agricultural College in 1955. John brought a new focus, having worked with Dr Phil Schinckel at the College where much of the early research into the follicular bases of wool production had been carried out by Phil and Dr Helen Newton Turner of CSIRO. 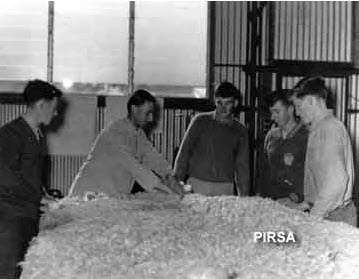 As a result, sheep and wool extension officers, initially funded by the Wool Research Trust Fund, provided a service to the South Australian Stud Merino Industry whereby they fleece weighed reserve rams from the various studs and took samples that were scoured and measured at Roseworthy College. The College then ranked these reserve rams, enabling the studmasters to select those which were the most productive based on clean scoured fleece weight and fibre diameter. This 'extension' activity was a major focus for most of the five or six extension officers and provided an excellent opportunity to gain an understanding of the stud merino industry at 'grass roots' level. Other areas of sheep husbandry that gained special attention were blowfly control, woolclip preparation, shearing and crutching and sheep husbandry schools. At these schools a whole farm approach to sheep management was promoted. Important Statewide research into weaner ill-thrift was undertaken in the 1960s by the senior research officer Dr Cec Mulhearn. Cec subsequently followed Dr Harold Chamberlain as the Branch Head. Harold was later to head the Research Centre Branch when it was established as the number of research facilities grew. During the 1960's the role of the Department changed dramatically because of the greatly increased production of cereals and sheep that followed the widespread use of medics and clovers to boost soil fertility. Increased cattle numbers on farms followed later. The establishment of these legumes, initially to enhance cereal production also provided grazing for sheep. The high wool prices of the late 1950s and early 1960s also stimulated sheep numbers, often on farms that had none previously or had used sheep only to 'clear-up' weeds. By the 1960s there were six Sheep and Wool Officers across the State to meet the expanded need for extension services Statewide. In 1956 Brian Jefferies established "Blowfly Control Courses" for young farmers with the assistance of Stan Green, part-time shearing instructor who provided crutching training that incorporated handpiece maintenance, grinding combs and cutters. During the period 1956-1965, these courses trained some 550 young men in these techniques. These courses were sponsored by local branches of the Agricultural Bureaux who identified the trainees and provided the sheep, shearing shed and other physical resources. Prior to these two/three day courses the Department's extension effort in relation to blowfly control had focussed on mulesing demonstrations and field days which had been initiated by WS (Steve) Reid during the previous decade. Then, in about 1965, Rhys Roberts invigorated this mulesing 'thrust' by organizing mulesing training courses for potential mulesing contractors as well as 'stepping up' the training of farmers across the state. Former professional woolclasser Andrew Brown identified a need for improved farm woolclip preparation when he joined Livestock Branch in 1960 and initiated Shearing Shed Management Courses (SSMC) in 1961, with the specific aim of improving the preparation of farm woolclips. These three-day courses encompassed instruction in shearing, handpiece maintenance, grinding combs and cutters, in addition to all aspects of woolclip preparation including the management of sheep for and during the shearing operation, so they built upon the crutching courses that had commenced during the 1950s. These SSM courses developed additional skills so that trainees could shear 40 or so sheep/day and competently prepare their own farm woolclip for sale. This was the aim of these courses, so they were derived from a different perceived training need than the "Crutching Courses". At this time, only the Livestock Branch and Soils Branch within the Department were involved in formally developed training courses or schools for farmers, the main thrust of the Department at that time was on group or 'person to person' extension activities. Photo No. 108718. Andrew Brown, wool classing instructor, demonstrating fleece skirting to a group of trainees in Ken Trengove's Broughton Park shed at Spalding in 1962. 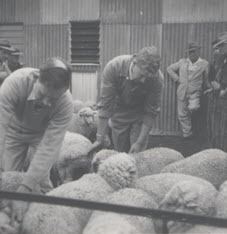 'On Farm' woolharvesting training flourished under the Shearing Shed Management Courses, with some 20 or so courses offered each year when a second 'team' of instructors was employed in 1965 to join Andrew Brown and Stan Green. Alan Harris was recruited from Elders-GM and Tony Ryan a widely experienced and highly regarded shearing contractor from Burra. An interview with Tony Ryan is summarized as attachment . Some 537 young men and women were trained in shearing and woolhandling practices during the period 1961-1967, in a total of 58 Shearing Shed Management Courses. Advanced SSM courses of one week's duration were also offered for young farmers who expressed a desire to progress to professional shearing and "Improver Courses" for young professional shearers were provided from 1965 for trainees nominated by shearing contractors. Funding for the Department's woolharvesting training program was at this time provided by the Wool Research Trust Fund, itself funded from the Woolgrowers' Research and Extension Levy, managed by the Australian Wool Corporation/Board. (The AWC subsequently ceased this funding in 1967 when they decided that they were not going to be involved with the training of 'part-time' shearers. Several years later, however, the AWC Shearer Training program manager realized the great contrbution made by 'part-time' shearers and these shearer trainees were then trained through their National program, in South Australia initially using the former Ag Department senior shearing instructor Tony Ryan). From about 1963 Andrew Brown offered South Australian woolgrowers a "Woolclip Inspection Service" to provide an objective opinion on the way their woolclip was prepared this was a year or more before the AWC offered the same service and is an indication of the pro-active role then undertaken by Livestock Branch officers in relation to woolharvesting extension. In fact Alan Harris and Andrew Brown presented the latest method of woolclip preparation: Objective Clip Preparation (OCP), to woolgrowers at Iron Knob before OCP was formally launched Australia-wide. Alan Harris had complementary wool industry experience to that of Andrew Brown in that Alan was a competent wool valuer and auctioneer and was able to type and value fleeces from experimental sheep flocks, as well as providing excellent in-shed woolhandling training. 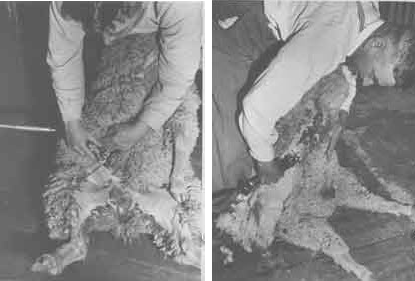 He also was the leader in woolclip extension when Objective Clip Preparation was introduced by the Australian Wool Board in the mid 1960's. SA was the national leader when Sale by Description was introduced in the late 1970's with nearly 90% of our flocks adopting this radical change. Shearer Training was provided through the Agriculture Department from 1960 until 1967 when the Senior Instructor, Tony Ryan was engaged by the AWC. He subsequently became Senior National Shearing Coach with the AWC where his extensive industry experience as a shearer and shearing contractor for over 20 years was invaluable in the training of young professional shearers as well as in the then current research carried out in relation to shearing techniques, shearing handpieces and shearing combs and cutters. Tony Ryan's vast industry experience enabled he and Andrew Brown to develop a comprehensive training program in commercially functioning shearing sheds, unlike any other in Australia. In most states shearer training comprised shearing skills and handpiece maintenance. In South Australia it was recognised that shearers required the additional skills and knowledge relating to small business management, record keeping, an understanding of insurance issues, the role of the Australian Workers Union, as well as a thorough knowledge of the operation and maintenance of shearing machinery and handpieces including correct sharpening of combs and cutters. These and other related topics were dealt with in evening sessions using a 240 volt generator for lighting and to power a movie projector as well as the provision of sufficient 'write-on ' chairs for the trainees to use whilst sitting in the wool room or in the mess room whichever was appropriate for the topic. Tony and Andrew invited industry specialists in relevant topics to visit the stations and provide instruction as required for the trainees, so that they had a complete 'package' of industry related topics. All this was carried out as part of the commercial shearing operations which turned out to be at marginally less cost to the owner than his prior contract rate. Andrew found this most interesting because at that time sheep owners in the Eastern States were attempting to get a subsidy from the Government for training shearers!! In summary, the Department of Agriculture played a pivotal role in shearer training in South Australia and was instrumental in providing this training for both 'part-time' and professional shearers during the 1960s and 1970s. Andrew Brown together with Tony Ryan established the 'Improver Shearer' Training courses in 1965. These courses are still (2007) being conducted, now under the auspices of TAFE. 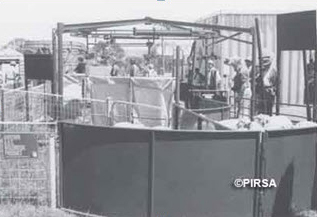 The success of shearer training in South Australia was due in part to the foresight of Livestock Branch officers in the 1960's and to the cooperation given by woolgrowers who made available their sheep and facilities for this training. To stimulate and update Sheep and Wool extension Officers State-wide, the Australian Wool Board/Corporation provided "Sheep and Wool Extension/Refresher Courses". These National courses were conducted under the leadership of Dr George Moule, who had been seconded to the Australian Wool Board. They were held in each State in turn, enabling officers from all over Australia to see at first hand, relevant research in other States. These courses provided a wonderful opportunity to meet one's peers face to face and to fully appreciate what may otherwise have just been read in a scientific journal. Schools of several days duration relating to sheep husbandry were conducted across South Australia for producers who wanted some intensive 'education' in sheep husbandry, including the economic implications of different activities and enterprises. As was much of the extension work undertaken by Livestock Branch, these schools were usually sponsored by Branch's of the Agricultural Bureau. During the 1960's several graduate officers were appointed to the Livestock Branch through special funding from the Wool Research Trust Fund and Commonwealth Extension Services Grants. This enabled the Livestock Branch to expand and to become more involved with sheep for meat production. John C Potter had transferred from the position of Senior Livestock Research Officer (Wool) to Senior Livestock Officer (Meat). In 1967, upon returning from an overseas study tour investigating specific breeds and practices of sheep and cattle bred for meat production, John then managed the staff dealing with beef cattle, sheep for meat production and pigs. Another role undertaken by Livestock Branch involved the training of Colombo Plan 'students' from India, Kenya and elsewhere, as well as others with specific training needs. Two officers from Libya were introduced to Australian dryland farming techniques after other agencies declined helping them. This led to the Department's involvement in its first major overseas contract. This project, and others that followed, often involved Livestock Branch personnel. The greatly increased emphasis on livestock production in the !960s and 1970s saw the formation of a South Australian branch of the Australian Society of Animal Production and a commitment by Livestock Branch Officers to fill leadership roles, thus helping to encourage a more scientific approach to animal breeding and management. So in the 20 years from the establishment of the Livestock Branch, it changed from a small group with a focus on sheep for wool production to a broadly based branch encompassing some officers with a special focus on sheep for wool production with others focusing on sheep meat, beef cattle, pigs and poultry for both egg and meat production as well as taking a leadership role nationally on livestock industry matters. By the late 1970s Sheep and Wool or Livestock Officers were established across South Australia from Port Lincoln to Jamestown to Mt Gambier, These 'Regional' staff managed many individual queries from producers as well as speaking at meetings and field days, so the demands from 'Head Office' staff were much less. This coincided with a change of focus of Head Office staff from providing a service to producers to providing a service to the government of the day. For economic reasons too there was a change of focus with Departmental staff generally servicing groups rather than individuals who paid for a customized service.